At the start of the year, I was invited to check out Simply Spanish. 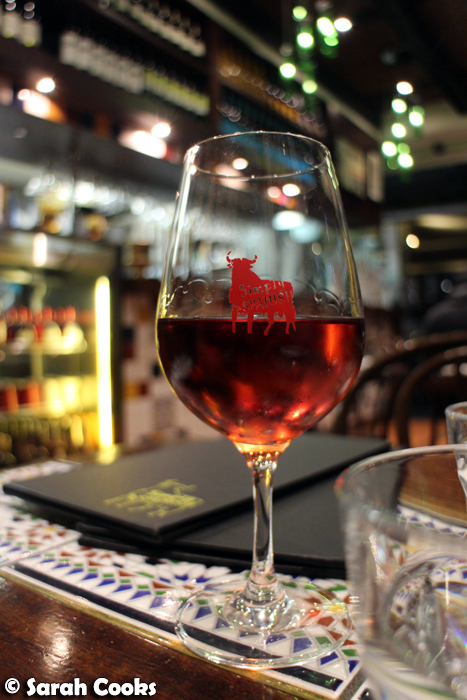 Sandra and I made a night of it, visiting the Bourke street branch and indulging in delicious tapas, sangria and paella. 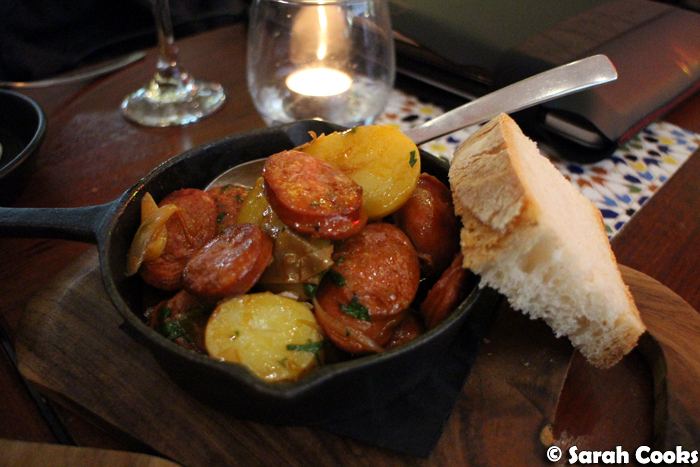 We hadn't visited a Simply Spanish before, and were really impressed. So last week, when my dad said he wanted paella for his birthday, we knew just where to take him. This post will cover both visits. The Bourke Street Simply Spanish is located in the courtyard of the 555 Bourke Street building, and seems to attract a corporate crowd, especially for Friday night drinks. We just had to start the night with some sangria! Delicious. Between the two of us, we ordered three tapas items and two individual paellas. Let's take a look! 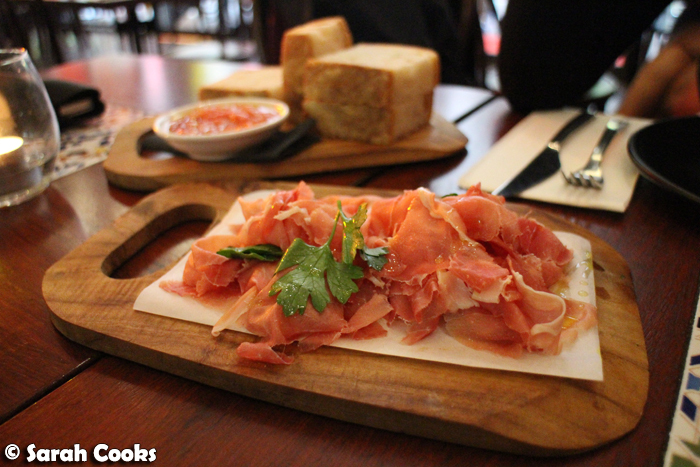 The jamon serrano was excellent - it had a lovely soft texture and that perfect salty-sweet flavour. I also appreciated that it came with good bread and grated tomato with olive oil. One of my favourite Catalan / Spanish dishes is pa amb tomàquet / pan con tomate. It's a classic and I love it, but I don't seem to see it too often on menus in Melbourne, so it was a real treat to have it here. 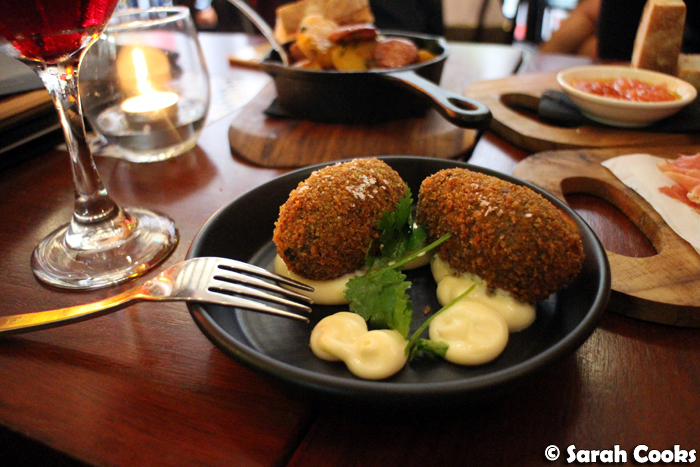 The croquettes were recommended by our waiter, and I'm really glad we ordered them. They were filled with a malevolently black mixture of squid ink, smoked chicken and soft bechamel, and were a great mix of smoky, creamy and crisp. Winner! Simply Spanish serve a variety of paellas - seafood, meat, vegetarian. The only seafood paellas on the menu serve at least two people, so to keep seafood-avoider Sandra happy, we each ordered a single-serve non-seafood paella. Just to let you know, the portions of the paellas are very generous. 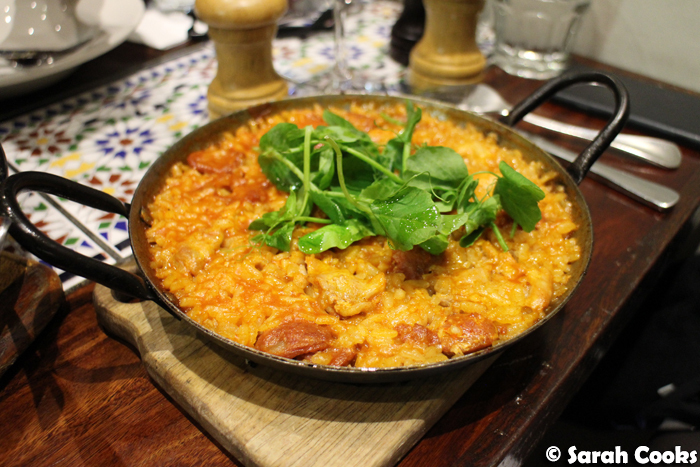 So if you wanted to share a few tapas items beforehand, you could easily share a single-serve paella between two. 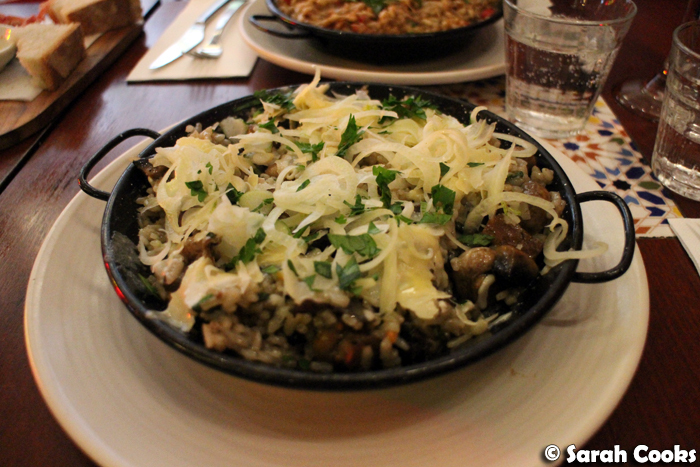 The roasted mushroom paella was impressive, with a generous amount of mushrooms throughout the rice. 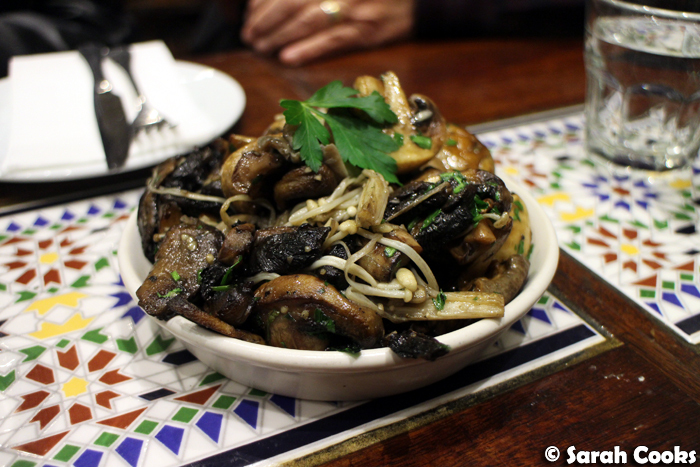 I'm not a huge fan of fennel, and was worried that the blanket of finely-shaved fennel might be a bit overpowering, but mild anisey flavour actually complimented the earthy mushrooms really well. 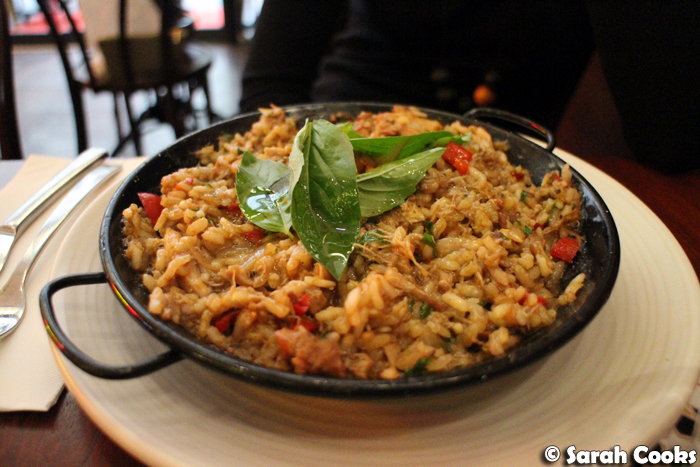 Closer to a classic flavour profile was the braised chicken paella with a smoky tomato base. For both paellas, the rice grains were cooked perfectly, with just enough bite in them. I would have preferred it if there had been more of a pronounced socarrat (the crispy rice on the base of the pan), but overall they were very good and had a great depth of flavour. We were sadly, too full for dessert, but really enjoyed all the savoury dishes that we had eaten. We were definitely more than happy to visit again, on our own coin, for my Dad's birthday. 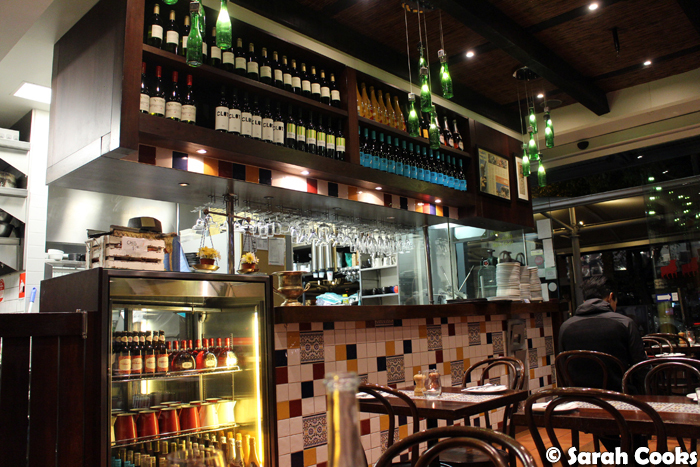 For this dinner, we decided to visit the South Melbourne branch as we knew it would be easier for parking than the CBD. The South Melbourne store was a little smaller than the CBD one, and was reasonably quiet on the Friday night we went - I imagine its peak times are when the market is open! 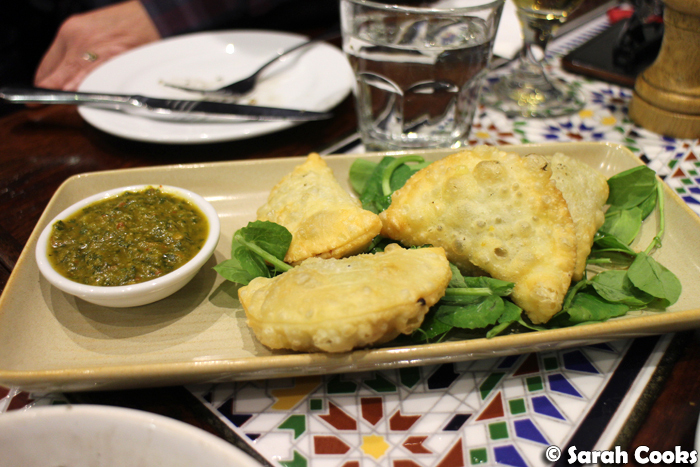 The mini empanadas were crispy fried little pastry pockets filled with a smoky beef mixture, and I really liked the punchy chimichurri salsa that accompanied it. 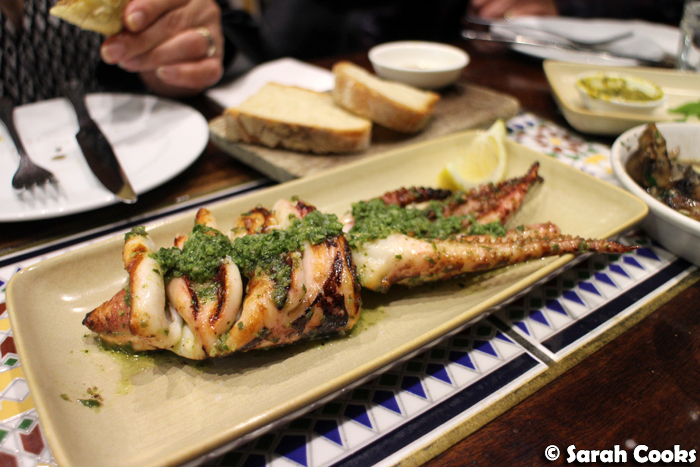 We really loved the calamari - it was very fresh, and cooked perfectly, so that it was still tender. Highly recommend ordering this dish! Remembering the generous portions, we ordered a single-serve non-seafood paella for Sandra, and my parents and I shared the gourmet provincial Spanish paella, which "serves 2". 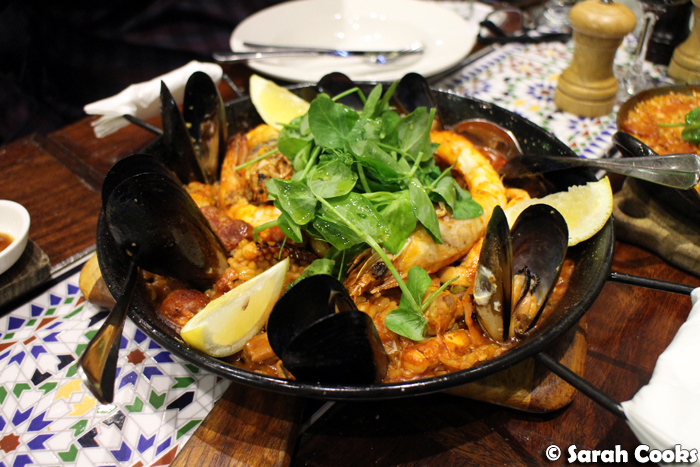 My parents and I absolutely loved the classic paella - all smoky tomato and chorizo, with so much seafood! Huge prawns, juicy mussels and tender squid. It was very rich, and, as suspected, the "2 serves" easily served three of us. This paella was exactly what my dad had been craving - hooray! 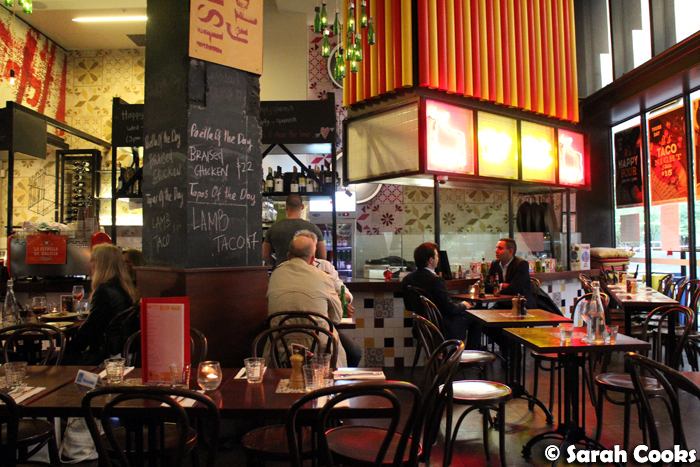 Definitely recommend Simply Spanish for a nice meal or when you want to get your fix of Spanish flavours! Something Spanish! 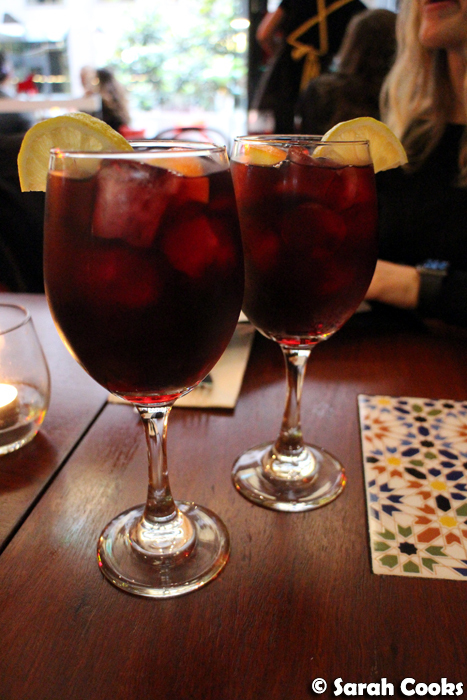 Love this post of yours :) Look at those refreshing sangrias. And I absolutely love Gourmet Provincial Spanish. Overall, the place and all the food look great! Yum! It all looks so delicious.